If you are a budding entrepreneur/marketer in the modern business world, then by now you must already know that merely advertising your products or services and selling them won’t get you anywhere. You have got to market and sell it the kickass way. And what’s the kickass way? Whether you follow a B2B model or a B2C model, content is your best friend. Why? Because it will help generate valuable leads for your business. Duh! While native advertising will always remain a great way to market your brand, content marketing has emerged as the core mantra of both B2B and B2C marketers. In a recent survey report by the Content Marketing Institute, it was revealed that as much as 88% of B2B marketers are actively harnessing the power of content marketing. According to WebDAM’s statistics, blogging has helped B2B marketers generate 67% more leads compared to marketers who do not blog. But before you dive deep into content creation for marketing your brand, you need to know who is your target audience. Now, how will you determine who is your potential target audience? First, by conducting extensive market research, and second, by identifying and developing your buyer personas. To unravel the mysteries of the unknown (don’t go in too deep, we’re talking about your target audience here! ), first, you need to tread the stranger tides. In simple words, you have got to understand your market. Market research posits your customers as the core of your business and given the fact that this is the age of the customer, you must begin with the customer. As a marketer, you cannot just create and sell products/services if you do not know who needs your product/service the most. So, you must put your resources at work (your customer support team, sales team — for they interact with customers directly) and create an extensive market research report. While surveys and interviews are great ways to interact with customers and understand their mindset, keywords are an excellent way to know what information/products/services your potential customers are seeking. You can use Google Adwords Keywords Planner to know what are the top ranking commercial and informational keywords. Apart from your own market research, make sure that you get your hands on the market research reports/surveys that have been conducted by other marketers. This will create a more extensive picture of the market you hope to rule. 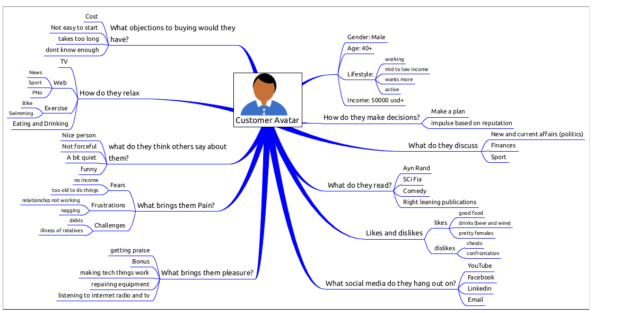 A buyer persona is a detailed profile of your potential customer. You can think of it as a representation of your customer. And although it is a fictional character, it actually represents real people in the market. So, if you have numerous target customers, you have to create a separate buyer persona for each individual customer segment. By developing buyer personas, you are creating a detailed picture of what your target customers are like and how your approach towards each needs to be. This will help you to decide what kind of content (type, style, tonality) you will have to create for each of your buyer personas. There are various tools to help you with your buyer persona development research such as Facebook Audience Insights, The Marketer’s Almanac, and Quantcast, to name a few. With this sorted, we can now start off with the core issue of our discussion — content creation and marketing. There are tons of content types and forms out there, but what we’re interested in is the perfect content for your target personas. Also, an important thing to remember is that not all types of content are built for lead generation. Since our primary goal is lead creation, your content creation strategy must include two types of content: one is traffic generating content and the other, lead generating content. It is a universally acknowledged fact that without traffic, you cannot generate any leads. Traffic generation content ensures that more and more people are pouring in and viewing your website. Some of the best content types for traffic generation are blog posts and social media posts, eBooks, podcasts, videos, and infographics. 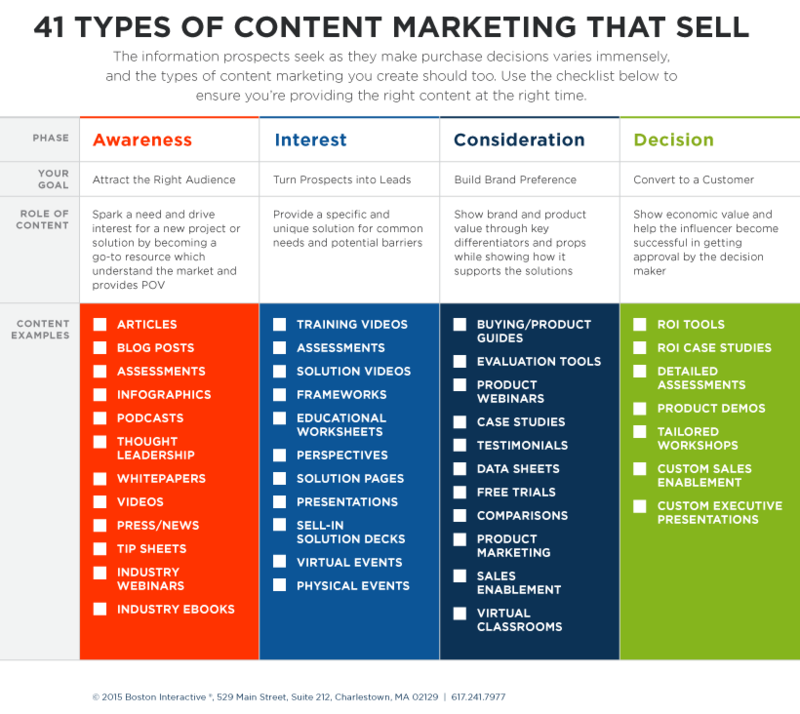 Use a combination of a few of these content types and see people pouring in! Lead generating content is that which you incorporate into your lead magnets (chill, we’ll get to this). To put it simply, lead magnets are useful resources that you offer someone free of cost in exchange for their email address. As we know, nobody likes to give their email address just like that — there must be a good catch attached to it. That’s what you need to create. Some of the best examples of lead generating content are webinars, case studies, eBooks (yes, again), free reports, discounts/coupons, and free trials and challenges. After you have decided on the type of content you need to create, it is time to get started on developing the ‘perfect’ landing page. Landing page makes it to the second point in the list since it functions as the ‘entrance pathway’ for your potential customers to your world. It is through your landing page that your potential customers can see what kind of content you are offering. Long story short, you must have a compelling and high-converting landing page. The image clearly puts forth the message that while aesthetics matter, it is not the primary focus of a good landing page. The primary focus is on user experience. Yes, you do want to attract leads, but remember, you want to attract ‘qualified’ leads and not just any leads. And another thing — make sure that your landing page loads fast, like super fast! According to KISSmetrics stats, even a delay of one second can reduce your conversion rate by 7%! You certainly don’t want that. Can address and solve a real problem — Think about it, if your lead magnet has no practical use in the real world scenario, why would a potential customer fall for it? Is specific — Your lead magnet must relate to specific customer needs/requirements. Has a high value — A good lead magnet comes with both high real as well as perceived value. Can deliver instant results — Instant gratification is the key to making your customers coming back for more. If your lead magnet can deliver instant results (that is, help your customers in some way or the other instantly), you’re on your way to become a winner! Sells your UVP — Your lead magnet should be able to demonstrate your unique value proposition in the first go. Your customers want to know what’s unique about you, so make sure you give them that. 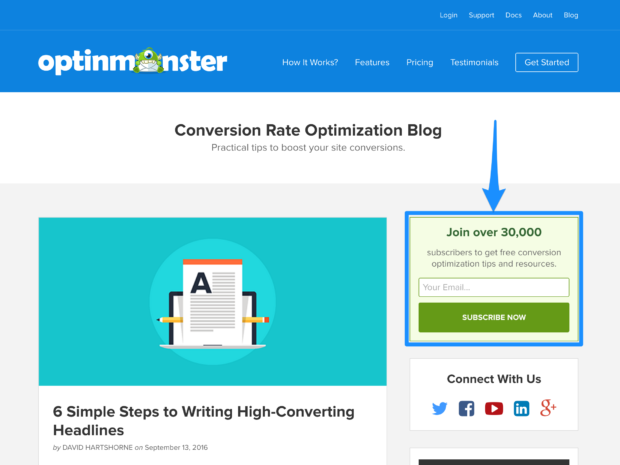 Once you’ve created awesome lead magnets, it’s time to optimize your blog for lead generation. And how do you do this? By integrating opt-on forms for your lead magnet. You can either opt for a sidebar opt-in form or add an exit-intent popup in all your blog posts. It comes up when you’re about to leave a site (hence the name, exit-intent). After this, you need to monitor and track which blog posts are generating maximum traffic and leads. There are many tools to help you do that, Google Analytics is one. Organic distributions are those that do not require any paid advertising, that is, you get traffic through organic search. And this is possible through a smart combination of thought leadership, keyword analysis, and influencer links. The main organic distributions channels are search engines (of course! ), and other social media platforms like Facebook, Instagram, Twitter, LinkedIn, Google+, YouTube, and so on. Instead of using all these channels, just make use of the ones where you know your target audience will be. And you’re all set! Although you’d have to shell out some money to get results out of paid distribution channels, but they are worth it! Mainly because paid distributions channels get you traffic way faster than organic searches ever can. Google AdWords, social media ads, native ads, banner ads, and content discovery networks (ads that appear in ‘recommended stories’ and ‘around the web’ sections of publications/websites) are your best bets when it comes to paid distribution channels. With a dedicated Thank, You page for your customers, you can add links to offers for which your prospective customers signed up. You can also add social sharing buttons. This will encourage your visitors to share your content. The importance of a strong, and concise CTA cannot be stressed enough. So, when you send out a strong CTA, make sure you also add CTA buttons in your website. You could add the buttons to your blog posts, or your resources section or your homepage, whatever you think will catch the customers’ eyes. However, make sure you don’t oversell it! While a follow-up email functions almost similar to a thank-you page, it has the added advantage of engaging your customers further, owing to its personalization quotient. With this, we come to a wrap for the day! These six pointers are invaluable when it comes to content marketing. And since content marketing is here to stay for a long time, make sure to use them wisely. Remember, with great content, comes great responsibility (couldn’t help saying this!) — the responsibility to extend the reach of your content to the multitude!